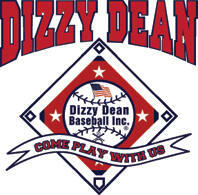 Welcome to the new website for Dizzy Dean Baseball and Dizzy Dean Softball. This page “Current News” will serve as the notification portion for the website. Anytime there is a change to rules/procedures, announcements, important events, explanations/clarifications, etc., it will be listed on this page. If you bookmark this page, make sure that you “refresh” your browser to insure that you are receiving the most current information available. Most browsers will refresh automatically however, if you do not see new information, as a precaution, click your refresh button to make sure you are seeing the most current data. Dizzy Dean Baseball has adopted the USA Baseball pitch counts and rest periods for the upcoming season. These pitch counts and rest periods are mandatory and must be strictly followed during seasonal play and during district, state, and world series play. Each league must designate the scorekeeper or another game official as the official pitch count recorder. In league play it is recommended that the team bookkeepers maintain the pitch count and sync the pitch count at the end of every inning. In tournament play it is recommended that the bookkeepers sync with the scorekeeper at the end of every inning and when a pitching change is made. The pitch count recorder must provide the current pitch count for any pitcher when requested by either manager or by any umpire. However, the manager is responsible for knowing when his/her pitcher must be removed. The official pitch count recorder should inform the umpire in chief when a pitcher has delivered his/hers maximum limit of pitches for the game. The umpire in chief will inform the pitchers manager that the pitcher must be removed. However, the failure by the pitch count recorder to notify the umpire in chief and/or the failure of the umpire in chief to notify the manager does not relieve the manager of his/her responsibility to remove the pitcher when that pitcher is no longer eligible. rule 6:04Violation of any section of this regulation can result in protest of the game in which it occurs. Dizzy Dean Baseball, Inc. has endorsed and supports each States laws relating to Concussion training and education in youth sports. In addition to the “Official” wording (below), a link has been placed on the Dizzy Dean National Website (left hand column of every web page) taking you to the Sadler Insurance Risk Management web page. There, you will be able to find the law, as it is written, for your state, find information for concussion training and find information in setting up a concussion management system for your park. Dizzy Dean Baseball, Inc. strongly recommends that all teams/leagues adopt and implement a concussion risk management program that keys in on training and education for staff, parents, and players in the areas of understanding concussions and their impact on health; recognizing concussion signs and symptoms; removal from play; and return to play protocol. Such a program normally includes web video training for staff and the distribution of an information sheet each season to all staff, parents, and players.